You’ve already seen this news that AETNA is leaving the Delaware ACA marketplace, but they are leaving all of the marketplaces they are in by 2018. This leaves Highmark as the insurer of last resort here in Delaware (assuming they stay in this market) and largely leaves the Blues as the major player in alot of markets statewide. It also means some additional market instability given the Trump Admin threats to ACA payments and Highmark will have a few months to rethink their offerings and seek rate changes. In a state where the competition wasn’t robust anyway, this is clearly a problem. Just read that quote and let the Aetna news sink in with the idea that Senator Carper killed the best option for a public option because he thought it would stifle competition. Alternately, send him a link to this post or the NJ article or the WDEL article at email and ask if he is happy with his vote to protect the insurer’s competitive marketplace at the expense of his constituents who need insurance coverage. Or, grab any of those links and ask him the same question on Facebook. 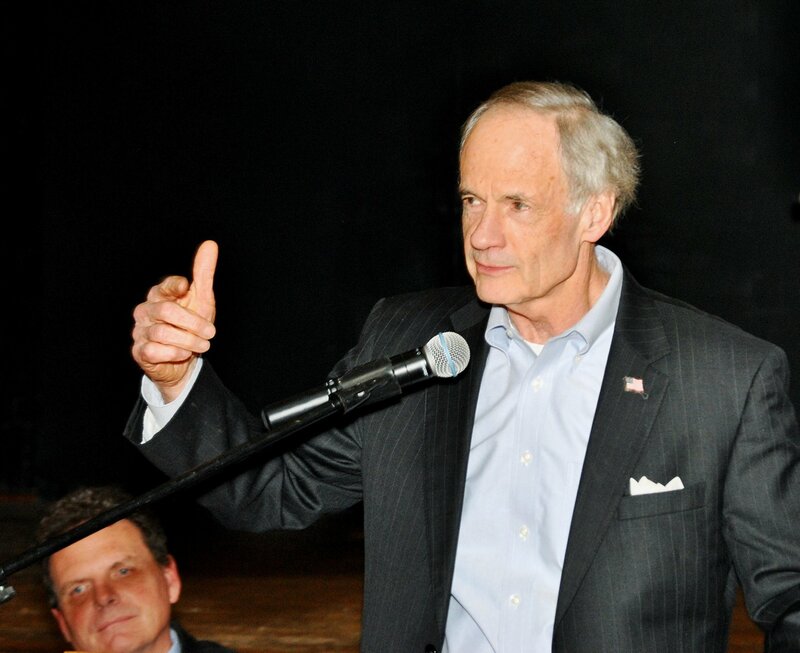 No public option, no Medicare for All is leaving us without choices for insurance while Senator Carper made sure that insurance markets would be protected. The “Blues,” particularly Highmark, are a disaster. No having Aetna, or another large company like United Healthcare, Cigna, or Humana in the markets is a major issue. Highmark’s model, like all the “Blues” is to acquire multiple companies and bring them under their name. The issue is that they never fully integrate them and their customer service and billing centers are not updated to the rules and mandates of other markets. When you call Aetna, UHC, Cigna, or Humana, you are calling one entity. When you a a Blue, you are calling a subsidiary that may not have access to all your information, or the particulars of your market. Karen Weldin Stewart created this Highmark monster and now her creation is the lone player in Delaware. That is very, very bad news to Delawareans, particularly those with Autism, or other disabilities that need specialized treatment and ongoing care. Adaptation is not something the “Blues” do well. Without our 1st Amendment Right to initiative and referendum we can expect to be further manipulated as in this case. The First Amendment mentions neither initiative nor referendum.